The driving force behind Rocks & Rivers is a desire to develop people and communities, and a yearning for true adventure. This means we seek out the challenges, we find the road less travelled, and explore new places. This means we work to develop peoples skills, leadership ability, and their character. This means we desire communities to be whole, well functioning, and to contribute to society in unique ways. This means we want to help meet the needs of those around us, both locally and globally. We believe that by making a difference in a few peoples lives we are able to make a difference in many lives. To change the world, you need to change just a few peoples world, and teach them how to change just a few peoples world. 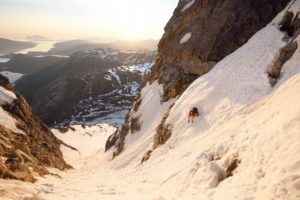 The backcountry is an ideal setting for a unique, experiential education and allows the freedom to truly learn, and put into practice, many useful lessons. We intend to put that resource to full use by getting out into the wilds and stretching ourselves to the limit in order to make the most of the opportunities around us. We have a unique skill set that we can offer the world and we desire to see those skills put to use, both in developing nations and in our local area. Great things are done when men and nature meet. This is not done by jostling in the street. How does this become reality? – Connecting to a world wide network of adventure trainers in order to offer professional quality, in depth and applicable training. – Meeting needs in our local area from helping refugees heal from the past and adapt to the future, to equipping youth with the resilience to take on challenges, to bringing family units together to strengthen their relationships. 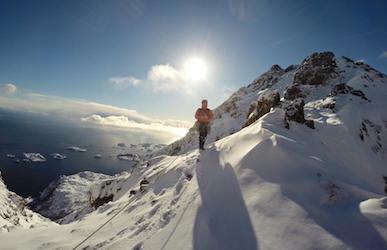 – Global adventures to places that few get to go, from the jungles of Papua New Guinea, to the high peaks of the Alps. Do you want to get involved? Just let us know! Events will be posted regularly. 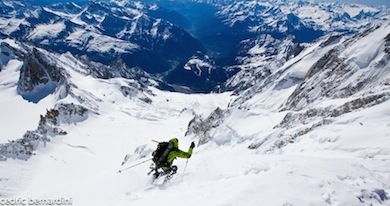 Serious adventures over crevassed glaciers, ultimate mountain challenges, or crag climbing down-town Chamonix. Every year in June we pack all our mountain and climbing equipment and travel to France for 10 days of fellowship, training, mountaineering and climbing. 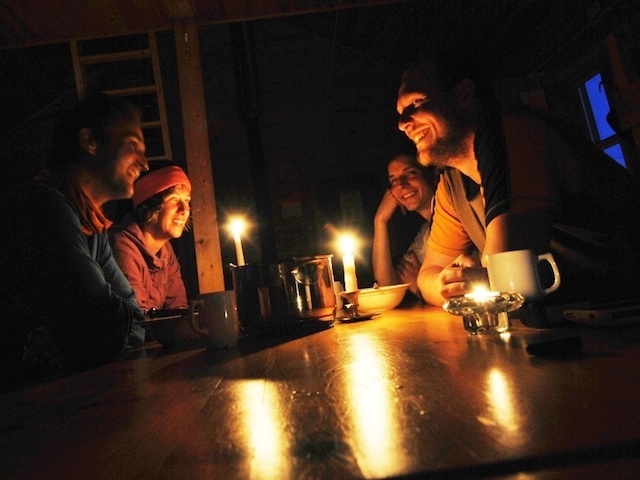 We have, together with other mountain instructors, started a global outdoor network, High Country Community. We believe that adventures are best shared and are committed to building a community where your experiences and our fellowship contribute to a better world. 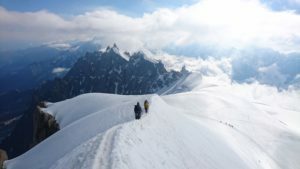 During the day you can adventure together with new and old friends, exploring the majestic mountains in the Chamonix area. We will facilitate great storytelling and learning every evening. Our Alps Event in Chamonix will be one of these meeting points for anyone interested in hearing these inspiring stories, as well for anyone interested in using their skills overseas either short or long term. So whether you are a practioner working overseas, interested in working overseas, keen to learn about the issues or just simply want to enjoy the Alps with likeminded people.. come and join us. A program prepping you for this trip will be put out early fall. Get in contact with us for more info! Whenever the sun is out there we´ll put out a date on Facebook! We´ve had a winter with quite a lot of snow. This snow has not yet melted away and gives us tons of opportunities to ski even though it is summer! Trips will be put out on Facebook. Overcome challenges through activities and create solutions through experience. We love engaging families through adventure. Many families undergo multiple stressors related to parent/child relationships or external life events. These create challenges that are difficult for the family system to navigate successfully. Together with the local municipality we help you and your family to get fresh air and fresh perspective. 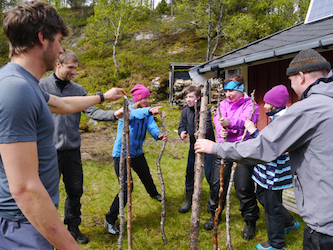 Led by a team of experienced outdoor professionals your family will participate in a variety of activities The journey towards overcoming challenges can begin to change not only how you deal with others, but also how you view yourself as a family. We are especially looking to help families with few resources. Apply now and get ready for a weekend in the mountains filled with action, fun and fellowship! This 90 minute workshop is a great way to learn orienteering, preparing you to find your way in the mountains! Come away with the skills to confidently attack unknown mountain terrain. We will teach you the basics of reading an orienteering map, and relating it to the land about you. Learn the map symbols, judging distance and ways to choose a route. Introduction to using a compass will be taught as well. You will be given a short introduction and then take a walk while we learn what all of those map symbols mean and how to interpret them on the go. Always been dreaming about sleeping outside in the winter? Together with us, snow and cold will not hinder you in this undertaking! We have been out on a winter night before, and love to share the keys of having a great sleep outside. We start this event at 5 pm and we’ll be back at the road before noon the next day, warmed, and with good experiences and new friends!